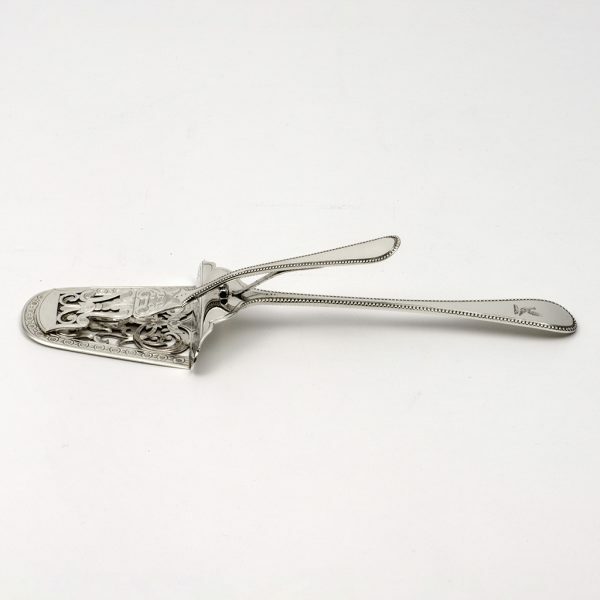 A Victorian silver pair of sprung Serving Tongs. 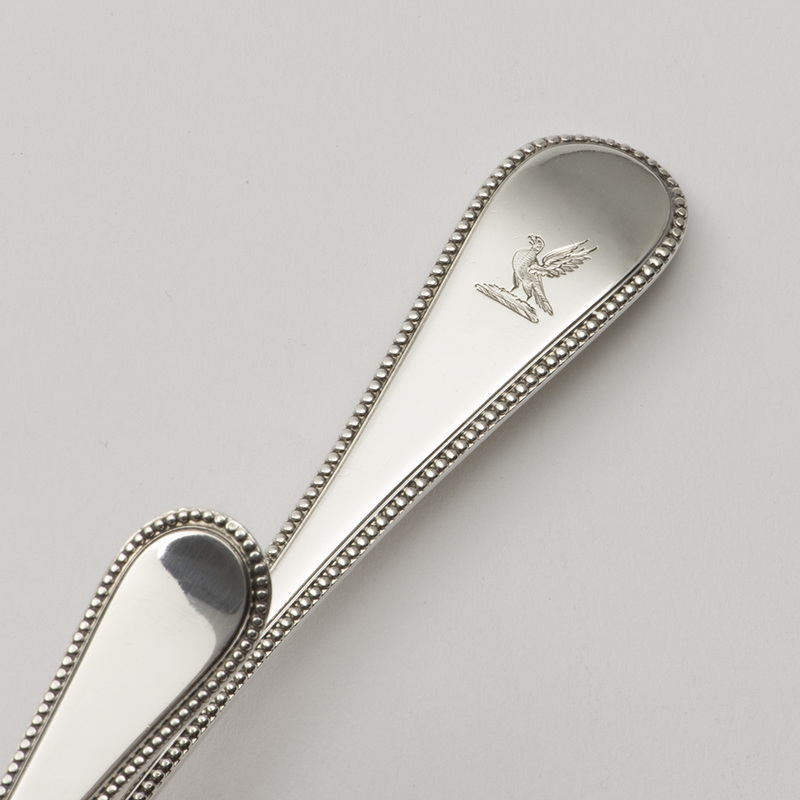 A Victorian silver bead-edged pair of Sprung silver Serving Tongs, Sheffield 1867, by Martin, Hall and Company. 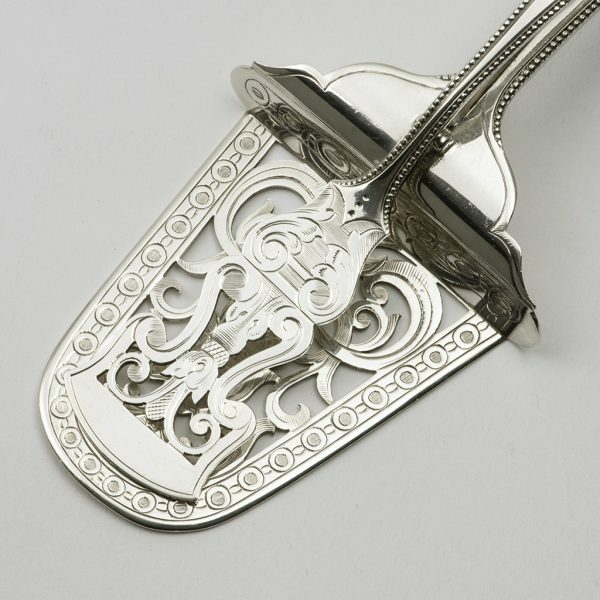 Engraved with a contemporary family crest. 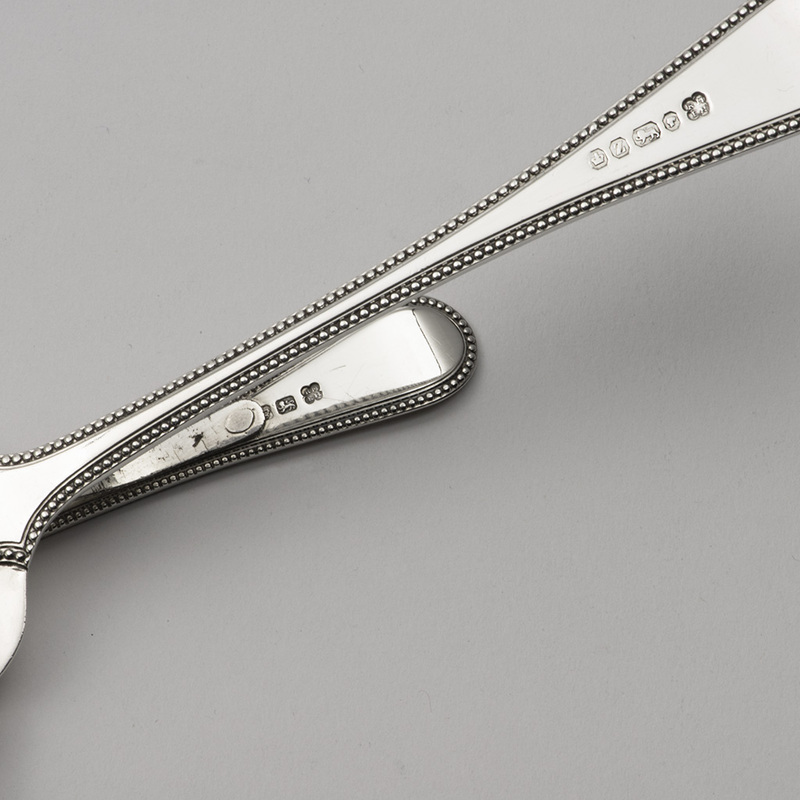 Length – 24.40 cm. 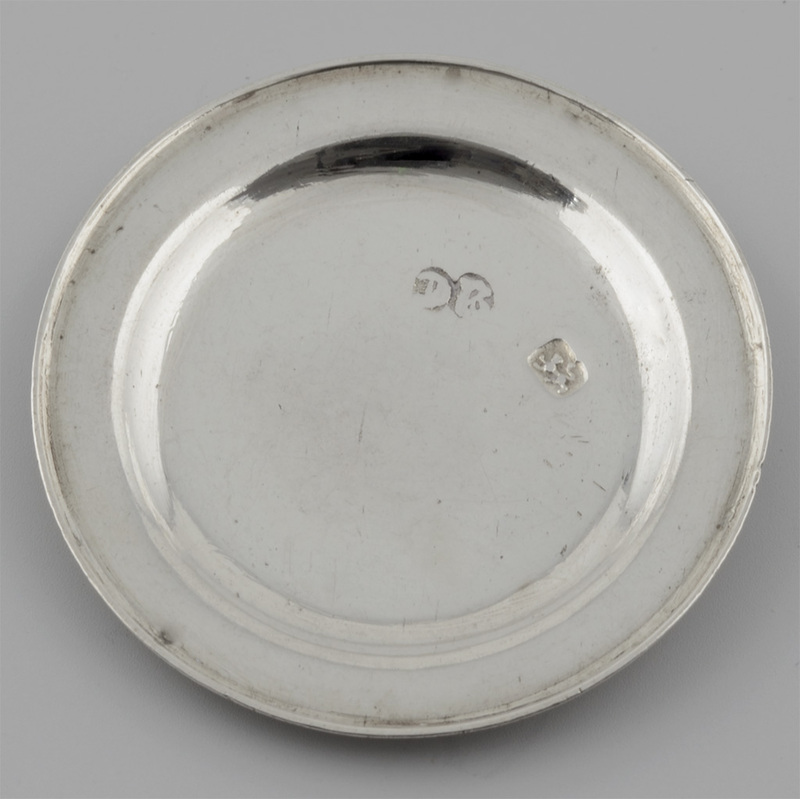 ; Width – 7.90 cm. 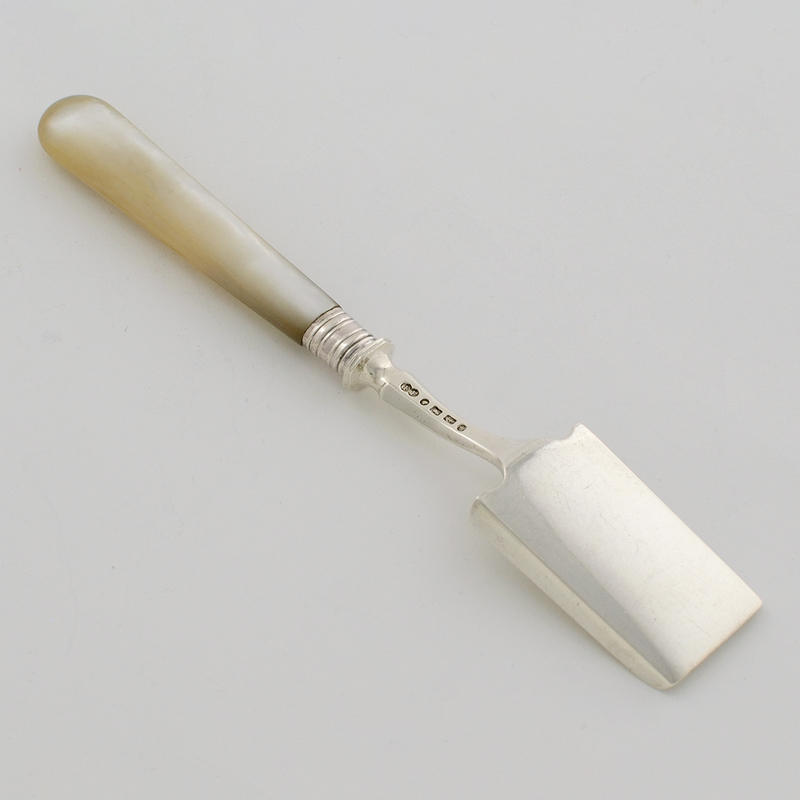 ; Weight – 153.10 gms. A William III silver-gilt Teaspoon. 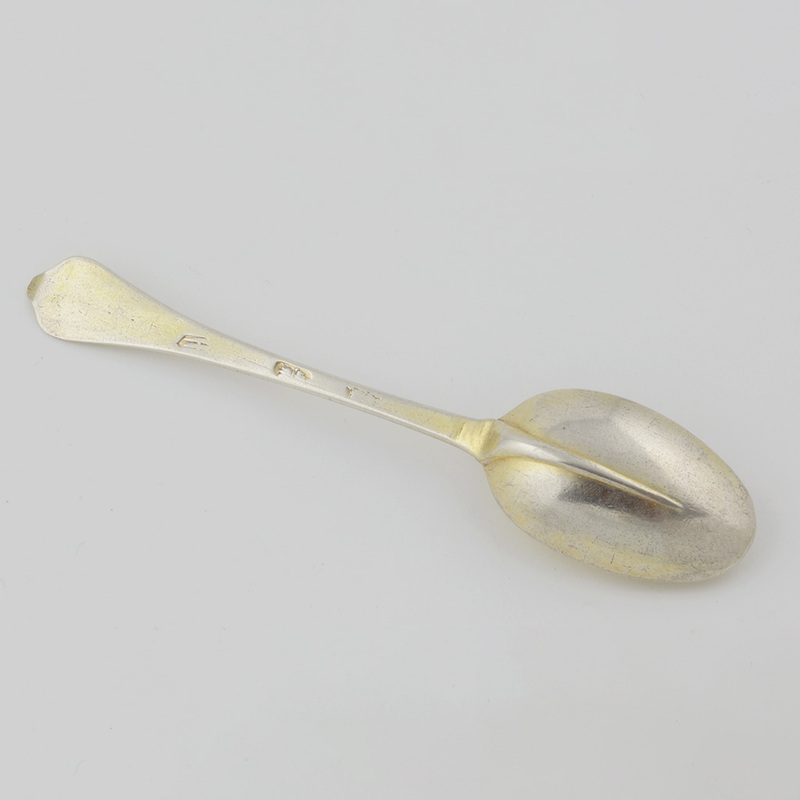 Send Enquiry for A William III silver-gilt Teaspoon. 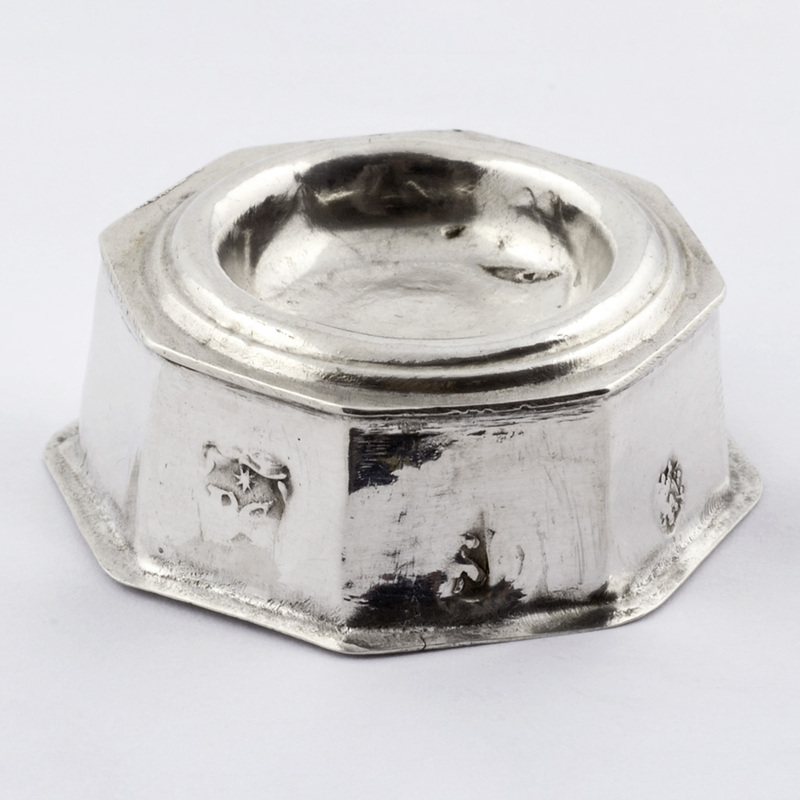 A late 17th century English Toy silver Salt Cellar. 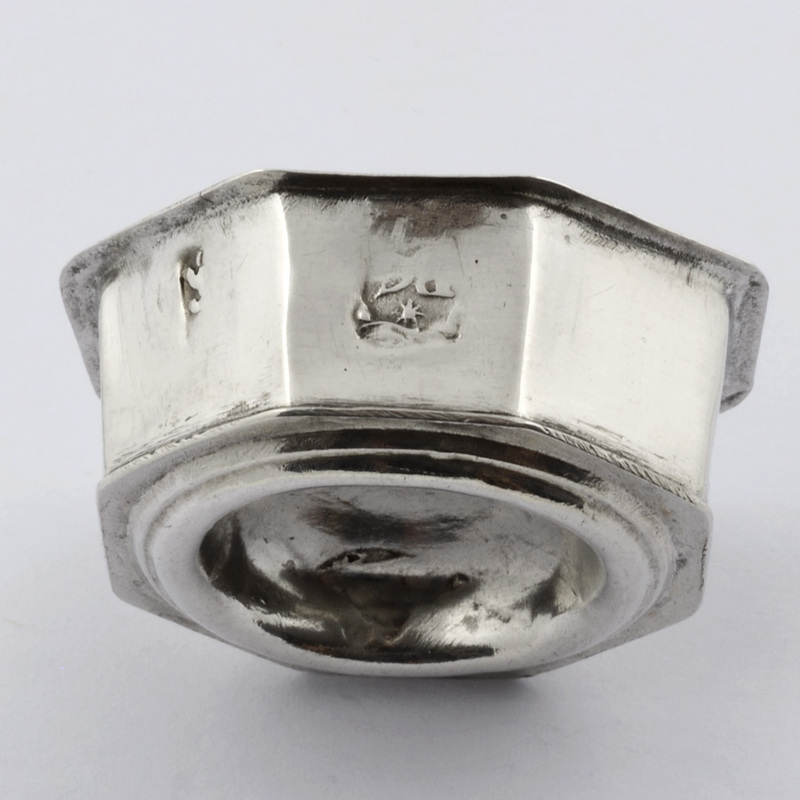 Send Enquiry for A late 17th century English Toy silver Salt Cellar. 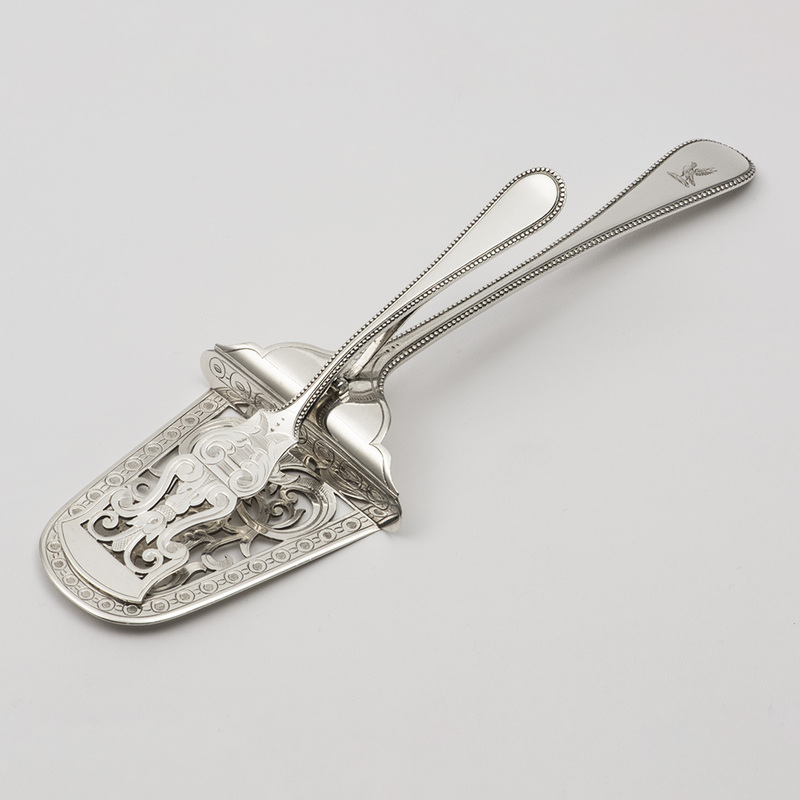 A Victorian silver Serving Scoop. 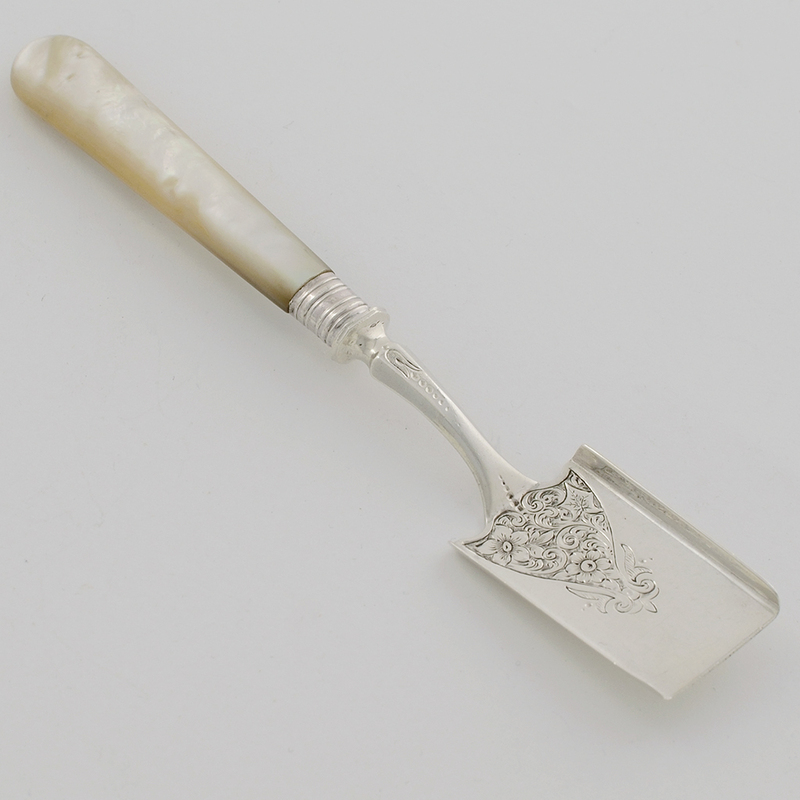 Send Enquiry for A Victorian silver Serving Scoop. 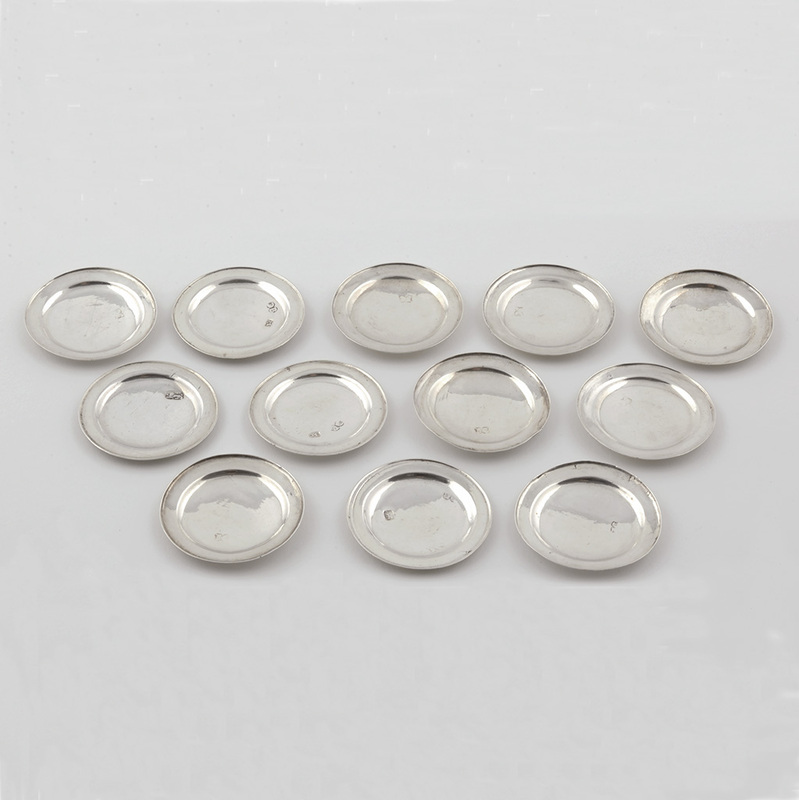 previous post: A set of four George III brass Candlesticks with extensive remains of silvering. next post: A set of Victorian silver Melon Eaters.